Attention to all aspiring and professional photographers! Enter to be the next SanDisk Extreme Team member! To enter the SanDisk Extreme Team Photo Contest submit your photo into one of the following categories: (i) Sports, (ii) Fashion, (iii) Photojournalism & Travel, (iv) Nature & Wildlife, (v) Landscape, or (vi) Wedding. Once your photo is approved, invite your friends to vote starting on September 25th ending on October 8th. On October 11th, we’ll reveal the top 12 photos based on public votes and our Judge Panel will begin the process for choosing the Grand Prize Winner. Check back in to see if you made the list. The winning photo will be revealed on October 25th during the 2013 PhotoPlus Expo. PRIZE DETAILS: The grand prize winner will receive four (4) 128GB SanDisk Extreme Pro® CompactFlash® memory cards and one SanDisk Extreme Team membership. Additionally, the winning entry will be a part of a feature SanDisk ad to run in Popular Photography Magazine or American Photo Magazine. .jpg, .gif, .png Maximum dimensions of each Photo are 1000×1000 pixels.Maximum total file size of each Photo is 7 MB. Not eligible to enter? - Find contest where you are. COPYRIGHT: By submitting a Photo, each Entrant warrants that (a) the Photo is original to and was created solely by the Entrant and has not been copied, in whole or in part, from a copyrighted or proprietary work belonging to someone else, (b) the Photo does not violate any copyright laws, and does not plagiarize, libel, defame, disparage, or otherwise infringe on or violate the rights of any third parties, © any and all persons depicted in the Photo have provided the Entrant with signed, written permission to take the Photo and submit it in this Contest; and (d) that Entrant is legally entitled to submit the Photo in the Contes USAGE RIGHTS: By submitting an Entry, you hereby grant to the Contest Entities a limited, worldwide, royalty-free and irrevocable license to display and reproduce your Entry within the Contest Application and incorporate your Entry within social media posts, comments or advertising in connection with this Contest published by Contest Entities for the duration of the Promotion Period. 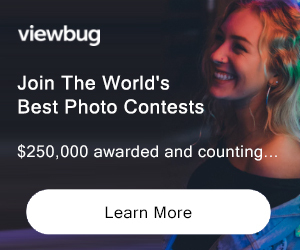 Contest Entities will include credit attribution using your name in connection with the display or reproduction of the Entry, but you agree that you waive all rights to review or approve the credit attribution format prior to publication. You further agree that you will not be entitled to any compensation or money in connection with the display or reproduction of your Entry by Contest Entities. Due to the nature of social media platforms, your Entry may be stored on the social media platform after the close of the Promotion Period and you agree that Contest Entities are under no obligation to remove your Entry from a social media platform if posted during the Promotion Period in accordance with this section. By accepting a Prize, you agree to grant Sponsor a worldwide, perpetual, non-exclusive, irrevocable, and royalty free license (“License”) to the Photo to exercise all rights contained in 17 U.S.C. § 106, including but not limited to the right to use, publish, modify, distribute, create derivative works of and alter the Photo in any manner Sponsor sees fit in any medium (whether now known or hereafter created), including Sponsor’s website and social media accounts.